HomeBlogs31:21 MamaRevenge: Where is Your Standard For Forgiving? Which sounds better to you? 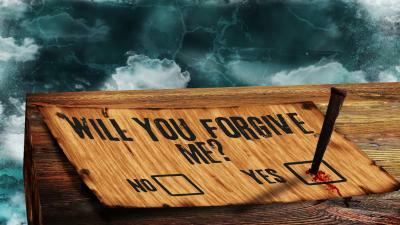 Revenge and hatred…or love and forgiveness? Yeah, the second option sounds better to me, too. I know they’re the standards I would rather have applied to me for sure. So why does this concept of revenge make such a thrilling and addicting ABC TV show? Maybe part of it is the fact that it’s a fictional show, based on the also fictional novel, The Count of Monte Cristo by Alexandre Dumas and, well, we like fiction. Maybe another reason is the fact that wanting to issue payback for a wrong done to you is just part of human nature. Or maybe you just think the guys on the show are cute. Whatever the reason, millions of viewers tuned in on September 29th to see what revenge Emily has planned for the Grayson family this season. Not familiar with the show? Let me give you a quick overview. The show follows Emily Thorne, a seemingly innocent twenty-something girl who buys a beach house in the Hamptons next to the very rich and influential family, the Graysons. Only the audience knows that Emily carries a vendetta against the family who destroyed hers when she was a little girl. She becomes close to the family and seeks to destroy from the inside, with manipulation and sly tricks, all while never revealing her true identity. Obviously, revenge is not something God agrees with. The Bible teaches exactly the opposite, in fact. In Matthew 6, Jesus teaches us to pray for forgiveness for ourselves and in turn to forgive others for the wrongs they do to us. God wants His children to have hearts of forgiveness, just as He has towards us. Can you imagine what life would be like without God’s forgiveness? We all make mistakes and do things we regret (Rom. 3:23) and, according to God, we all deserve to be forgiven if we are truly sorry. He even wants us to forgive others over and over again (Mat. 18:21-22), like He often has to do with us. When confronted by a friend about her secret quest in this season’s opener, Emily says” I’m not killing anybody!” in an attempt to make her search for revenge justifiable. But does that make what you are doing right, Emily? We think not. Instead of carrying enmity and hurt around with you, give those feelings over to God and feel the weight lifted off of you. Remember to “love one another” as we are commanded and as we ourselves receive love from God (John 13:34). How is your heart? Do you have a heart of love and forgiveness like Jesus? Or is it one prone to hate with a desire for revenge? Remember the standard we are to live by…it doesn’t come from a TV show, but from the source of life (John 14:6).